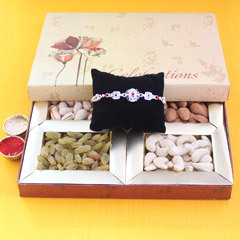 The sweetest way of conveying affectionate and caring feelings to dearest brother on Raksha Bandhan is by surprising him with this delightful gift combo. 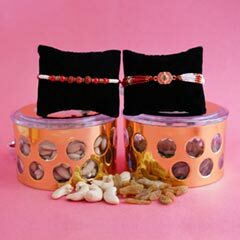 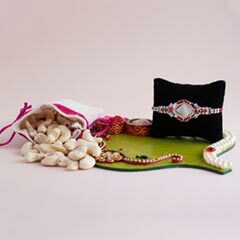 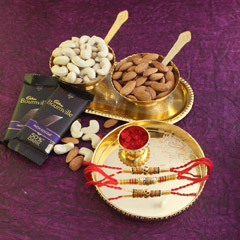 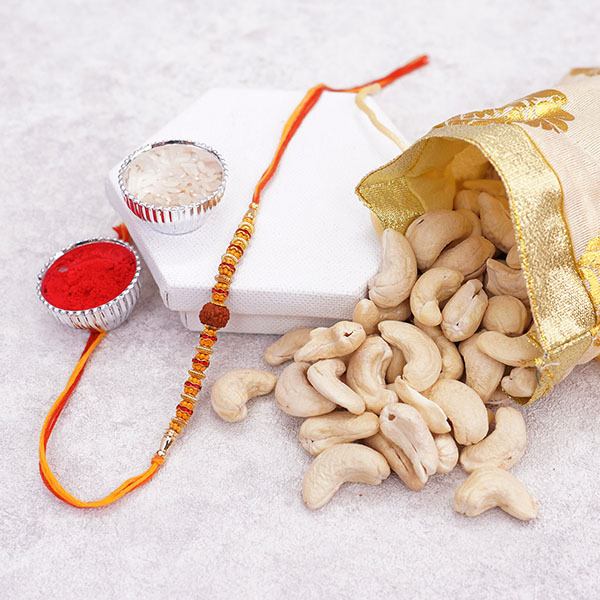 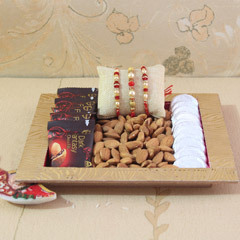 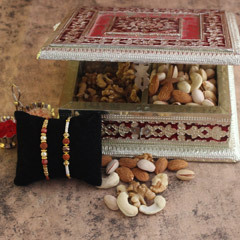 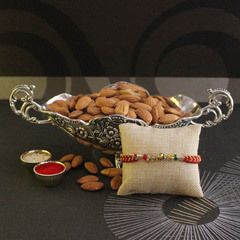 For giving him a delightful time, there is a little and attractive potli bag full of cashews to munch and an elegant Rakhi to prettify his wrist. 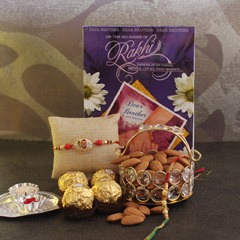 All together, an affectionate gift combo it is.